Your work involves documents in multiple formats that need to be translated into and from multiple languages. For that, you need more than basic, word by word translation... you need entire documents translated quickly, logically, and as accurately as possible. 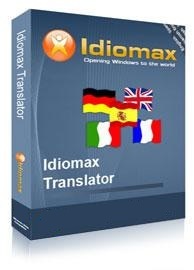 If there's no time or budget for a dedicated human translator in your organization, the IdiomaX Translator is the next best thing. The Translator 7.0 is more precise than other language translation software. It's an intelligent translation program that works not by interpreting individual words one by one, but by translating text in phrases and sentences, taking grammar and idiom into account. To achieve the final translation, it conjugates verbs, establishes agreement between nouns and adjectives, and reviews language patterns so the resulting sentence is clearly translated. And because the Translator translates whole documents at once, it saves you a lot of time and effort while delivering better translations. Translator 7.0 has extra capabilities for the demanding user. It automatically checks the original document for spelling errors and corrects them before translation. It allows you to highlight sections that don't require translation. And you can edit the on-board dictionaries as you work. These features result in a better quality translation with every use because the software remembers and applies your changes automatically the next time. Translates documents in multiple formats: PDF, DOC, DOCX, RTF, HTML, TXT, etc. Translated texts preserve original format. Program recognizes grammar rules, sentence structures, idioms and patterns. You can identify words and phrases not to be translated. Customize translations of words and save them to user dictionaries.